This is a really wonderful addition to any cookbook collection. 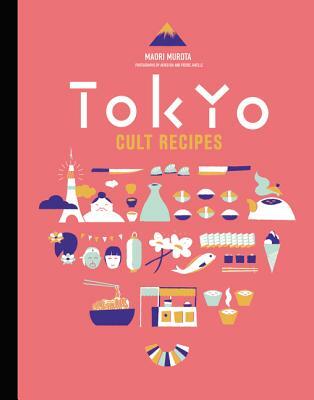 Simple, detailed recipes for a wide-range of delicious Japanese dishes, with gorgeous photos throughout. The miso eggplant is incredible, and became an immediate staple dish in my home. I cannot wait to try my hand at making agedashi tofu at home, and of course the strawberry shortcake, because Japanese strawberry shortcake is the best strawberry shortcake. Maori Murota was born and grew up in Tokyo. She left Japan when she was seventeen to live in New York, and she also spent time in Indonesia. In 2003 she settled in Paris, where she worked as a stylist before exchanging the world of fashion for food in 2009. Completely self-taught, Maori became chef at Parisian restaurants Düo and Bento at La Conserverie. Now an event caterer and private chef, she also gives classes in authentic Japanese home cooking.